Those of you who are regular readers of my blog know that I am very fond of good fragrances, even in my bath & body care products. So, when I purchase any bath product I am special careful to check if it has a good smell. 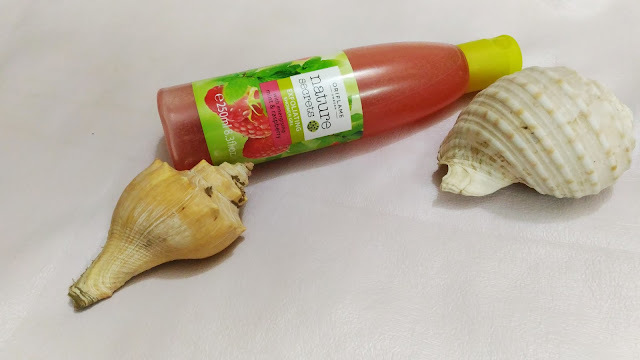 Today I will be talking about Oriflame Nature Secrets Exfoliating Shower Gel which I bought only for the wonderful smell. Fragrant Shower Gel with stimulating Mint and Raspberry extracts and exfoliating grains. Re-energize as you shower and smooth away dead skin cells. Packaging: Oriflame Nature Secrets Exfoliating Shower Gel comes in a transparent bottle with a green flip-open cap. Product: The shower gel is a deep red in colour with tiny beads and it smells fruity. 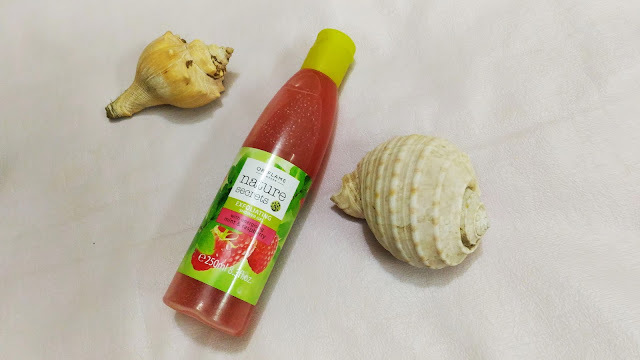 My experience: As I said I love products with good fragrances, the Oriflame Nature Secrets Exfoliating Shower Gel is bestowed with ample of good scents. The dominating scent is that of raspberry and there is hint of mint to it. The beads present in the shower gel are very soft and when applied diffuses into the skin. It gives a wonderful exfoliating effect. The skin is left soft and smells delicious. 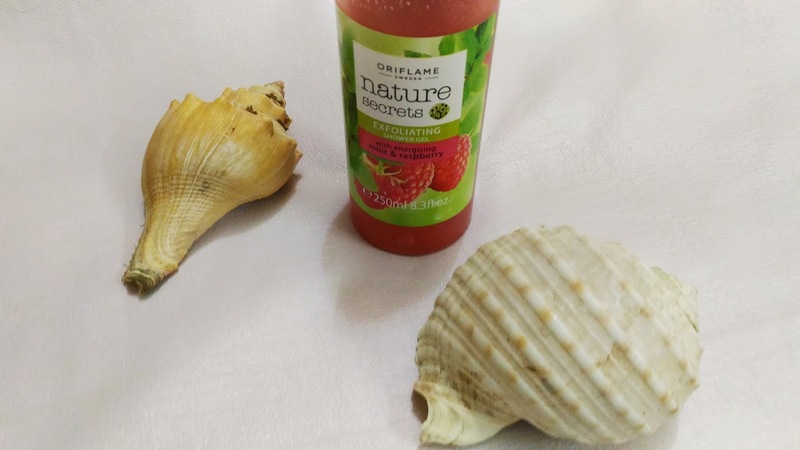 The Oriflame Nature Secrets Exfoliating Shower Gel has the goodness of nature that acts as a great antioxidant. The skin becomes soft and youthful. It is a great energizing wash that immediately brightens up the day with its fruity smell. It is definitely one of the best bath products from Oriflame. 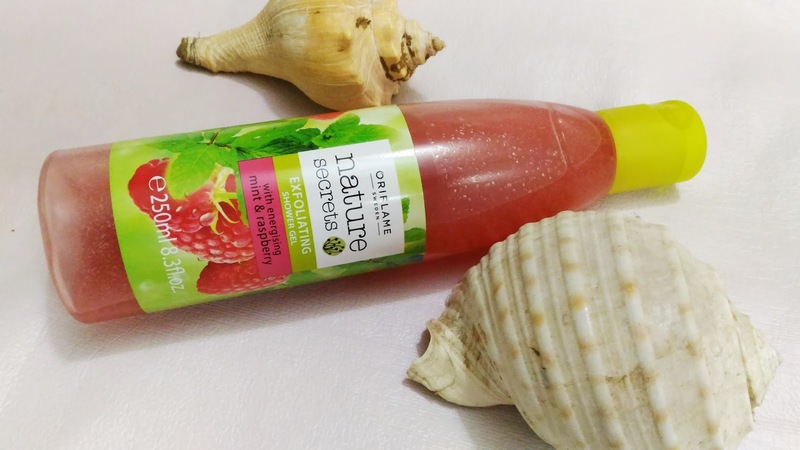 Oriflame Nature Secrets Exfoliating Shower Gel is a very good bath care product with natural extracts that makes skin soft and removes dead dull skin to bring out a glowing renewed one. It smells amazing and is a must-have for those who like fruity fragrances.